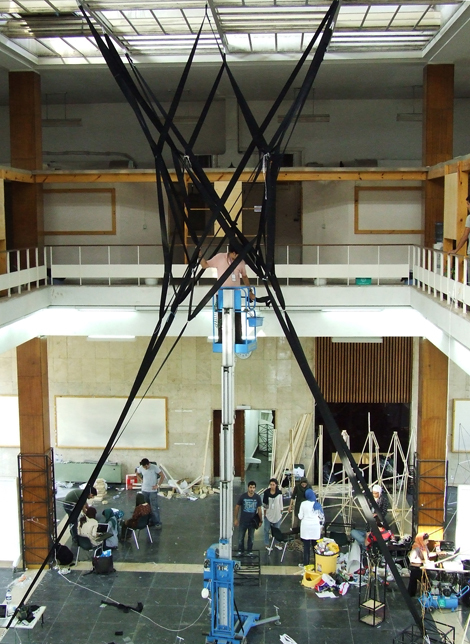 Work from the 2012 AA Tehran Visiting School. 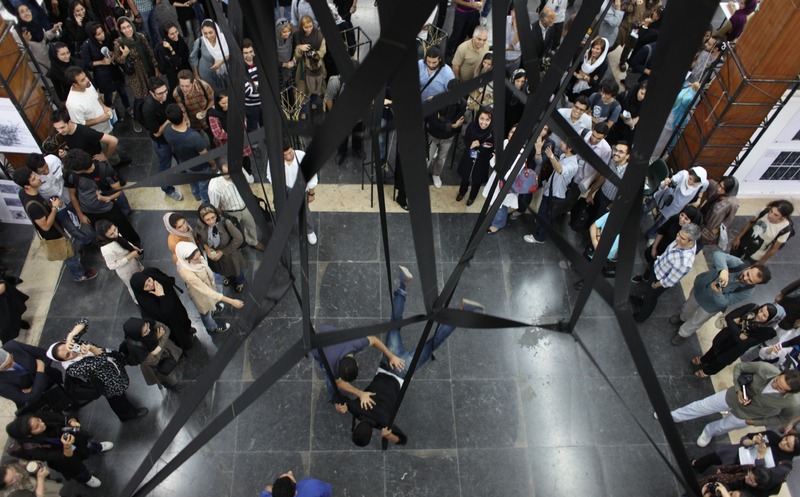 Derived from Islamic and Local geometrical patterns in Iran the project takes these to the next level through repetitive prototyping to derive performance. 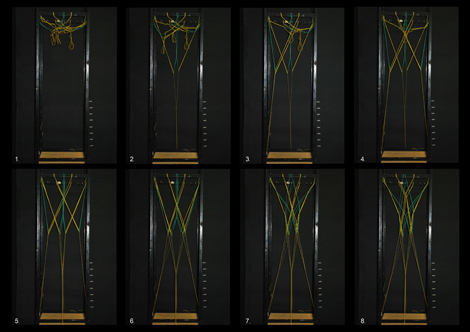 The long history of the geometrical patterns used a decorations in Iran is developed further by combining this with advanced computation and computational understanding to derive a system which used the same principle to create a dynamic performance. 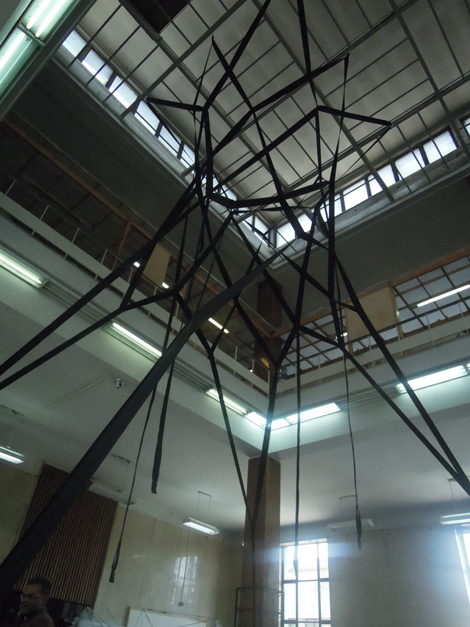 The geometries here are develop into a installation piece which is capable of a range of condition based on the input weight or energy. This fundamentally develops the 2-d geometrical pattern into a 3-d dynamic one. 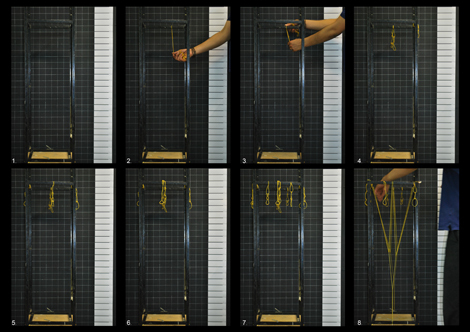 The Project started with optimization experiments of double layer structures where structural behaviours was observed and recorded as and when additional weight was introduced to the system. 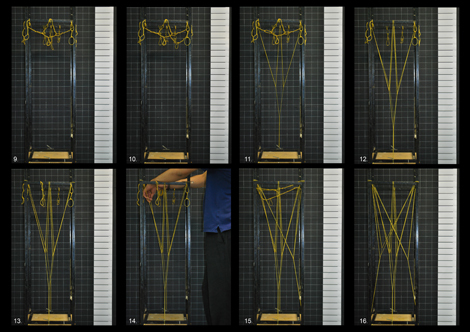 Adjustments to the overall geometry and number of connections between components, in conjunction with elastic nature of the material, were used to generate and gain control over the swaying motion of the structure. 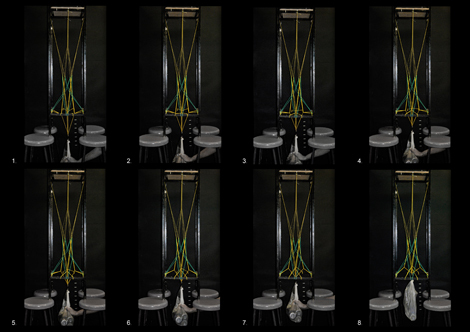 At first, the movement was vertical due to the force of gravity but with the structural tuning motion deflected from the vertical path and acquired twisting trajectory. 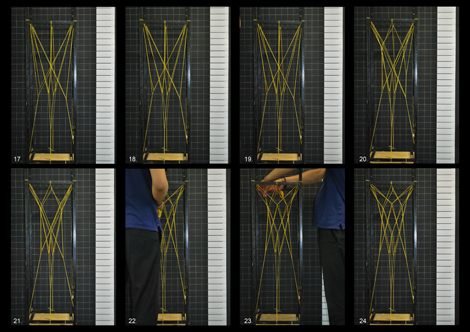 Parametric studies were carried on a series of rubber band models attached to metal frames. 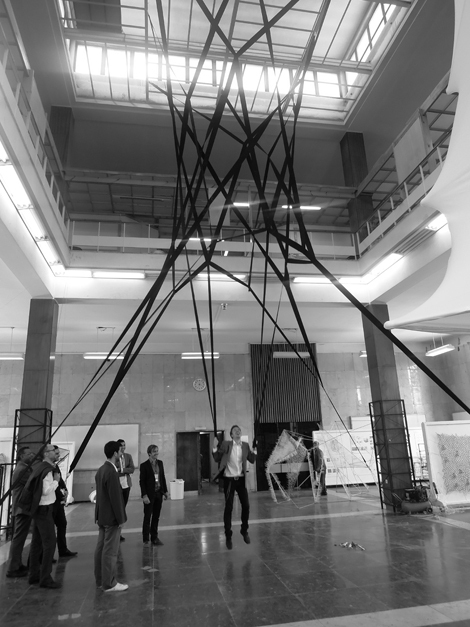 Large scale prototype is made of the elastic string and measures 8m in height. 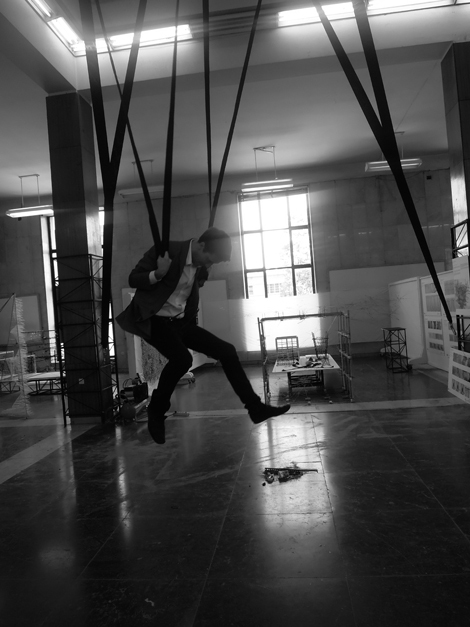 It is constructed to sway with the load of one hundred kilograms or with the weight of a grown person.